Spring is finally here and with it, more great local workshops for parents, educators and families. Don’t miss The Beyond Flashcards Math Series in partnership with the Center for Mathematical Talent (CMT) at NYU’s Courant Institute. Tuesday, April 8 from 6:30-8pm at the Downtown Community Center in Tribeca. Sian Zelbo and Mark Saul from CMT join us once again for another installment of Beyond Flashcards, this time tackling the subject of logic. Prepare yourself for another interactive math workshop that will give your mind a workout. Logic is the driving force behind mathematics and approaching logic in a fun and interactive way makes mathematics more engaging for children. In Beyond Flashcards: Logic, we will discuss the connection between logic and mathematics, and give examples of logic games and activities for children that will encourage mathematical thinking. Sian Zelbo, JD, MA, NYU Center for Mathematical Talent at the Courant Institute of Mathema tical Sciences – Sian Zelbo is the Associate Director for the Center for Mathematical Talent and also the Math Specialist at the Speyer Legacy School, an independent school for advanced learners in Manhattan. Ms. Zelbo holds a J.D. from the University of Texas School of Law and an M.A. in Secondary Mathematics Education from Columbia Teachers College. Ms. Zelbo has a range of experiences in the field of math education, particularly working with advanced learners. These experiences include working as a classroom teacher, running afterschool math circles, coaching middle school and high school math teams, organizing and running math competitions, training teachers, and writing problem-solving curricula that are used all over the city. 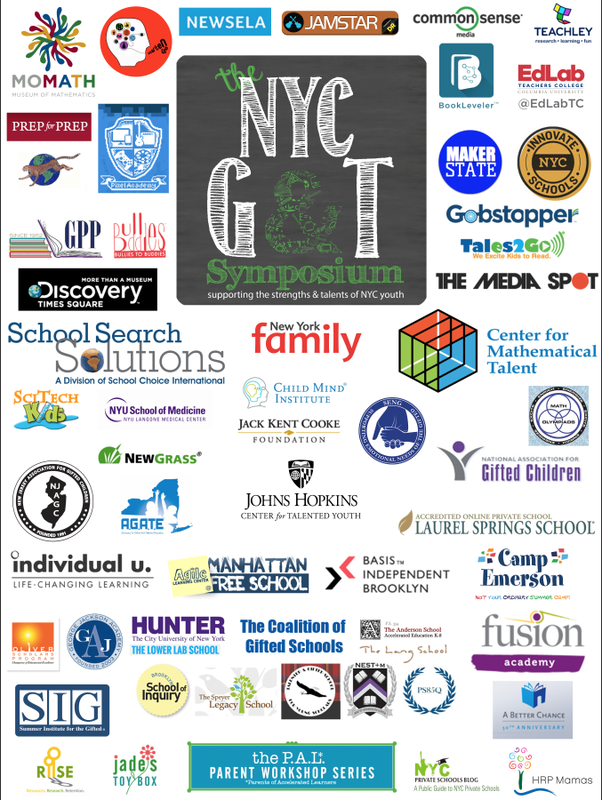 Join PALNYC for Navigating NYC’s G&T Options, offering an inside look at the programs that best accommodate advanced learners. With all the frenzy around G&T tests each year– and not enough seats to go around– join our panel of parents for an inside look at NYC’s best programs for high potential youth. Are Citywide schools any different than a good general education or independent school program? What are the differences between Hunter, Citywide programs and districtwide offerings? Can a high-scoring gen ed public school help kids reach their highest potential? Do private schools better serve this population with their smaller class size and course offerings? 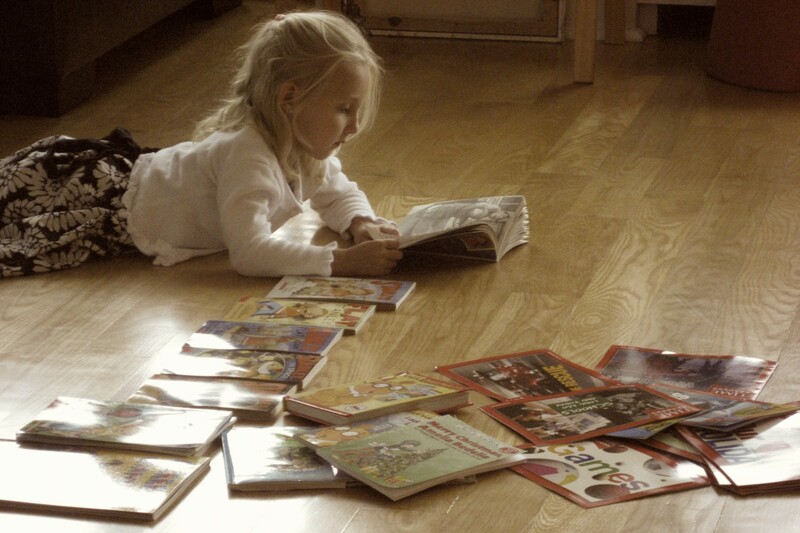 Is charter school or home schooling an option for an advanced learner? You’ll hear samples of a typical day in the life and pros and cons of each program. This workshop is intended for adults only and will take place on April 22, 2014 from 6:30PM – 8:00PM at the Downtown Community Center in Tribeca located at 120 Warren St, New York, NY 10007. Stay tuned for more details about this and other workshops from PALNYC. An important component of mathematics is visualization. In this workshop we will discuss the role of visualization in mathematics and give parents and teachers concrete ideas for working with children to develop this skill. Don’t miss Part 4 of the Beyond Flashcards Math Series in partnership with the Center for Mathematical Talent (CMT) at NYU’s Courant Institute. Sian Zelbo and Mark Saul from CMT join us once again for another installment of Beyond Flashcards, this time tackling the subject of visual and spatial thinking. Prepare yourself for another interactive math workshop that will give your mind a workout. This workshop is intended for adults only and will take place on May 13, 2014 from 6:30PM – 8:00PM at the Downtown Community Center in Tribeca located at 120 Warren St, New York, NY 10007. Stay tuned for more details about this and other workshops from PALNYC. On average, students lose about two months of grade level equivalency in math over the summer. Some students also lose more than two months in reading achievement, but parents can help change that. Keep those minds on fire this summer with math, literacy and enrichment activities to keep your K-6th grader engaged all summer long. Join us Wednesday, JUNE 4 from 6:30-8 pm at The Brooklyn School of Inquiry, for engaging, hands-on math activities, writing and critical thinking strategies and sample Mind Sports that you and your child can enjoy this summer. 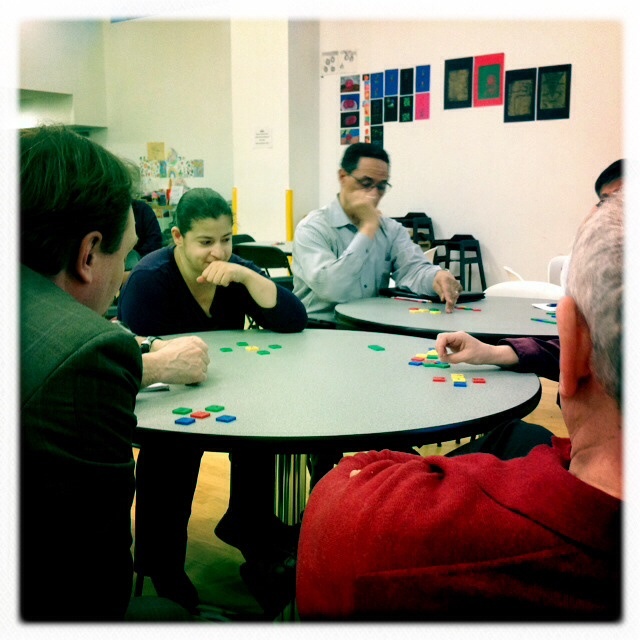 BEYOND FLASHCARDS: Logic, presented by PALNYC with Sian Zelbo and Mark Saul of CMT 6:30PM – 8:00PM • Downtown Community Center in TriBeCa • Free, register here – The driving force of mathematics is logic. CMT discuss the connection between logic and mathematics, and we’ll give examples of logic games and activities for children that will encourage mathematical thinking. SENG Webinar 2014 DIVERSITY SERIES: Social-Emotional Development of Asian-American Gifted Students, with Echo Wu, PhD 7:30PM – 9:00PM • Access instructions to this online webinar will be sent to your email one week prior, the day before and the morning of the webinar • $40 – The presentation will focus on specific social-emotional development and needs of gifted students who are Asian but are either born or grow up in the US. CONVENTION FOR EXCEPTIONAL CHILDREN 2014 Convention & Expo View the schedule for this four-day conference here • The Pennsylvania Convention Center • Pricing varies and conference days are priced separately. Discounted rates are available. See conference registration form for more details. – The CEC Annual Convention and Expo, will bring together thousands of special education teachers, administrators, researchers, professors and students from around the world to discuss pressing issues and share information in areas such as Common Core State Standards, administration, autism, co-teaching and collaboration, emotional and behavior disorders, instructional strategies for math, reading, and science, policy, technology and response to intervention. NAVIGATING NYC’S G&T OPTIONS, presented by PALNYC 6:30PM – 8:00PM • Location • $15, register here – Confused? Or want to learn more about the citywide, district, independent, and local gen ed programs for advanced learners? Parents offer an inside look at the programs that best accommodate this population in NYC. Come prepared to hear samples of a typical day in the life and pros and cons of each. ELEVENTH ANNUAL YOUNG CHILD EXPO & CONFERENCE, presented by Fordham University’s Graduate School of Education and Los Niños Services View the schedule for this three-day conference here • The New Yorker Hotel • $135 one day; $245 two day; $325 three day. Discounted rates are available. See conference registration form for more details. – The Young Child Expo & Conference is a joint project of Fordham University’s Graduate School of Education and Los Niños Services designed to provide the latest information about early childhood development, services, resources, and products to early childhood professionals and parents in order to help all children reach their full potential. In one unique event, this conference integrates learning about a wide variety of important topics affecting typically developing children as well as those with special needs, including autism. For more information or to register, visit the Young Child Expo page. 10:30AM – 3:00PM • The Rockefeller University, 1230 York Avenue at 66th Street • Pricing varies from $25 individual tickets to a $75 family rate, early registration is recommended and must be purchased in advance. Buy your tickets here – Rockefeller’s inaugural Science Saturday will be filled with fascinating talks, demonstrations, and hands-on activities designed to engage and inspire children and their families. You’ll be able to observe insects and other animals, learn how your senses work, visit state-of-the-art research facilities, and meet world-class scientists. Three-day Conference • The Sheraton New York Times Square Hotel • Early registration $464 – by February 28, regular registration $544 – This 3-day conference will focus on research in the fields of brain, cognitive and mind sciences. Register to explore ways to use the science of “smarter minds” to teach the skills students need to meet today’s new standards, curriculum and careers. An Exploration of Choreography 11:00 AM; David H. Koch Theater, Enter via Lobby, West 63rd Street and Columbus Avenue • $20 per person• What is choreography and what does a choreographer do? New York City Ballet artists will answer these questions and more as they guide you through excerpts from NYCB’s vast repertory. Hosted by Principal Dancer Daniel Ulbricht. Join us for these Saturday morning one-hour presentations designed especially for family audiences. Featuring short works and excerpts from New York City Ballet’s diverse repertory, NYCB artists guide you through the program, offering insights on the music and choreography. These performances are the perfect introduction to New York City Ballet and the world of classical dance! For tickets. 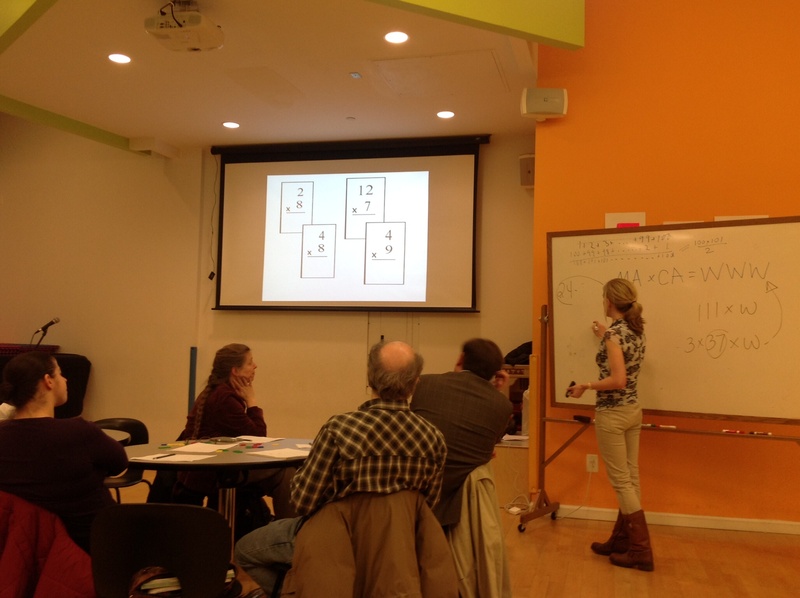 BEYOND FLASHCARDS: Visual and Spatial Thinking, presented by PALNYC with Sian Zelbo and Mark Saul of CMT 6:30PM 6:30PM – 8:00PM • Location • Free, register here – An important component of mathematics is visualization. In this workshop we will discuss the role of visualization in mathematics and give parents and teachers cornet ideas for working with children to develop this skill. Johns Hopkins Center for Talented Youth Family Program • Museum of Math (MOMATH)• Cost: $95 per person. Join CTY at the Museum of Math (MOMATH) for an intriguing new program at MoMath. Mathematics illuminates patterns and structures all around us. This program will stimulate inquiry, spark curiosity, and reveal the wonders of math. Please visit cty.jhu.edu/family for additional details. Register now Center for Talented Youth @ Johns Hopkins presents a sampling of NYC experiences as part of their Creative Connections programs designed specifically to meet the needs of young CTY participants. The imaginative and interactive programs include one-day and overnight learning experiences for students and parents at prestigious museums, science and nature centers, and aquariums. Program structure varies at each site, but every event includes hands-on activities designed to provide a stimulating environment in which families can learn together and discover fascinating new interests. I’M SO MAD: Tips to Help Your Kids Deal with Anger, with Steven Kurtz, PhD, ABPP, presented by The Child Mind Institute 6:15PM – 7:30PM • Child Mind Institute, Fascitelli Board Room, 445 Park Avenue • Free with Reservation – Behavior that is disruptive or impulsive can cause serious problems at home and at school. Steven Kurtz, PhD, ABPP, senior clinician in the ADHD and Disruptive Behavior Disorders Center, explains how to adapt your parenting strategies to help your child cope with his anger. You’ll learn behavioral techniques used to reduce disruptive behavior and improve a child’s relationship with his family. These techniques are easy to implement at home and include those used in the treatment of disruptive behavior at the Child Mind Institute. Be a Botanist for a Day: Johns Hopkins Center for Talented Youth Family Program • New York Botanical Garden• Cost: $95 per person. Join CTY at the NY Botanical Garden and become a field botanist for a day in one of the world’s premier botanical gardens. Identify and compare plants used in landscape architecture; dissect a flower; blend your own native plant seed ball; and take a tram tour of this beautiful environment. Discover the connections between the historical context of the garden planning era and those who shaped garden design. Visit a re-creation of the Abby Aldrich Rockefeller Garden in the Conservatory and the newly conceived Native Plant Garden. The garden presents the beauty of native plants in a modern garden setting, celebrating the diversity of native flora and inspiring gardeners to use sustainable native plantings in their home gardens. This program begins around 9:00 a.m. and ends around 4:00 p.m. Morning refreshments and a $10 lunch voucher are included. Register now Center for Talented Youth @ Johns Hopkins presents a sampling of NYC experiences as part of their Creative Connections programs designed specifically to meet the needs of young CTY participants. The imaginative and interactive programs include one-day and overnight learning experiences for students and parents at prestigious museums, science and nature centers, and aquariums. Program structure varies at each site, but every event includes hands-on activities designed to provide a stimulating environment in which families can learn together and discover fascinating new interests. Learn more. SUPPORTING GIFTS & TALENTS ALL SUMMER LONG, presented by PALNYC 6:30PM – 8:00PM • Location • $15, register here – Offering practical ways to prevent summer learning loss just in time for summer break, you’ll get great tips, tools, activities, and resources to keep your elementary school child stimulated to prevent summer slide. Be a Scientist for a Day…and Night with Johns Hopkins Center for Talented Youth Family Program • Sterling Forest State Park • Cost: $165 per person. Don a lab coat and become a scientist for a day with NYU School of Medicine Department of Environmental Medicine at Sterling Forest State Park ! Planned activities include conducting a DNA experiment under the guidance of a leading genetic toxicologist; extracting DNA from strawberries with common kitchen items; determining how clean our air is and how much air our lungs can hold; searching out bacteria from the world around us; learning how to drill for oil; and recovering iron from the Sterling Forest Park soil. Plus, take a pond walk and an iron mine tour with an experienced park ranger who will help us identify the many different species of aquatic life and the abundant variety of plants, animals, and birds in the forest.This overnight program begins around 1:00 p.m. on Saturday and ends around 11:00 a.m. on Sunday. It includes dinner, snacks, and a light breakfast. Bring sleeping bags, mats, and pillows as you will be sleeping on the floor of the State Park Visitor Center. Register now Please visit cty.jhu.edu/family for additional details. SENG Webinar 2014 DIVERSITY SERIES: Indigenous and Gifted: Nurturing Multiple Identities as a Means of Building Resilience to Stereotype Threat with Dr. Melinda Webber 7:30PM – 9:00PM • Access instructions to this online webinar will be sent to your email one week prior, the day before and the morning of the webinar • $40 – Gifted Indigenous students require opportunities and encouragement to develop their talents in responsive family, community and school environments, which simultaneously nurture their cultural identities alongside their gifts and talents. Gifted Indigenous students who are strong in their cultural identity and who learn in contexts where their culture is valued, are less likely to succumb to negative peer pressure and negative academic stereotypes, which undermine academic attainment and talent development. My research explores the socio-cultural complexities encountered by students who identify as both Indigenous and Gifted. It suggests ways forward in terms of helping gifted Indigenous students to nurture both their academic and Indigenous identities.